5 1/4" two way in wall design. 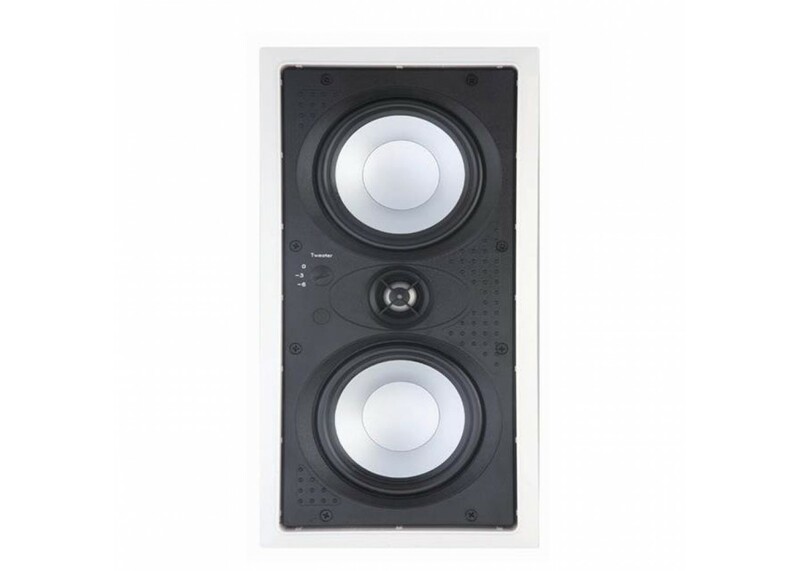 One a kind in wall center channel speaker that will fit between the studs. The dual 5 1/4" Polygraphite woofers fills any room with clean, crisp bass. Perfect for surround sound systems or listening to music throughout your home. Great sound at a great price. 5 year Warranty! Cut Out Size: 14.37 x 6.81"